From breezy summer nights with loved ones to crisp fall mornings with a cup of coffee, your outdoor patio or deck should reflect the special moments you share with others. Here are a few ways to elevate your outdoor retreat with glass design features. A canopy is a perfect way to gather friends and loved ones under a functional focal point. And glass is the ideal way to elevate this experience. Both attractive and practical, the addition of a glass canopy to your patio or deck can protect you from weather elements and the sun’s harmful rays without diminishing the natural light. If you already have an existing structure, glass can be added for a stylish update. Whether large or small, a glass canopy is a great way to make a sizeable impact on the look and feel of your outdoor retreat. Implementing colored glass brick in your backyard or patio is a small way to pack a lot of detail and color into your outdoor retreat. Glass bricks can line walkways and offer a hint of color to the outside of your home. On a larger scale, glass brick walls can provide added privacy, segment sections of your patio, or enclose your outdoor shower. To elevate the experience even more, some types of glass bricks can even light up. Illuminate your walkways at night and enjoy colorful and stylish evenings with friends and family. In any space for entertaining, you need a special place to cook and mix drinks. An outdoor kitchen can be elevated with a glass backsplash, glass tables, or a glass bar countertop to create a visually appealing space for you and your guests. Bar top glass is thick, durable against weather elements, and easy to clean. The most common type of glass addition you see on a patio is the glass enclosure. This is typically in the form of panel glass guardrails around patio edges and pools. Glass enclosures can also be found enclosing outdoor showers or segmenting sections of a backyard. With glass, it’s easy to get creative. 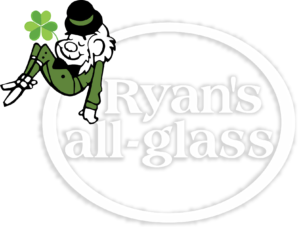 Contact the professionals at Ryan’s all-glass today to start building your perfect outdoor retreat. From custom glass projects to residential and commercial services, there’s no project we can’t handle. 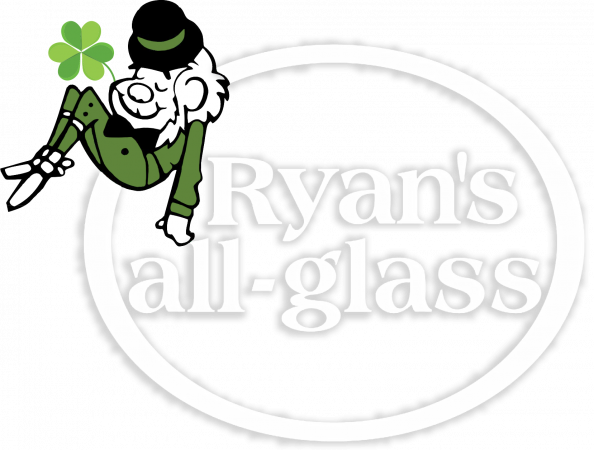 With Ryan’s all-glass, your vision is just the beginning. PrevPreviousWhat’s the Difference Between a Flat Edge Polish and Pencil Edge Polish?